When a label says 'organic,' in countries with organic regulation, it means the wine has met certain standards that are set by a government agency. Different nations have their own certification criteria, so what's organic in one country may not be so in another. In the United States, in order for a wine to carry the “organic” label it must be produced without the use of chemical fertilizers, pesticides, fungicides and herbicides. Many wineries that are technically organic still choose not to be certified. There are many reasons for this. Some do not want the added costs and bureaucracy of registering. Others may disagree with their government's standards. It can also be a marketing decision. Whatever the case, in countries with organic regulation, they are not allowed to use "organic" on their labels. Some think that organic certification standards are inappropriate, and that although grapes can be grown organically, winemaking itself is not organic. The process can tend to little or no manipulation of wines by reverse osmosis, excessive filtration, or flavor additives (such as oak chips), use of wild yeasts for fermentation. Some winemakers, although not meeting organic criteria, think their methods are superior and choose to label themselves as "natural" wines instead. Organic wines are not necessarily sulfite-free. The use of added sulfites is debated heavily within the organic winemaking community. Many vintners favor their use, in extremely small quantities, to help stabilize wines, while others frown on them completely. In the United States, wines labeled "organic" cannot contain added sulfites. Wines that have added sulfites, but are otherwise organic, are labeled "wine made from organic grapes. However, if the label reads that the wine is produced from “organically grown grapes” then it still runs the chance of containing sulfates. Sulfates must be undetected in the wine in order for it to earn “organic” status. In you quest for knowledge on organic wines, you might also see the term, “Biodynamic wine” during the course of your research. Biodynamic wines are made using the principles of biodynamic agriculture (BD). Biodynamic refers to both the farming (the agricultural), or winemaking, which is how fruit is handled post-harvest and processed into wine. Biodynamic agriculture is a method of organic farming that treats farms as unified and individual organisms,]emphasizing balancing the holistic development and interrelationship of the soil, plants, animals as a self-nourishing system without external inputs insofar as this is possible given the loss of nutrients due to the export of food. Benziger Winery (CA) – Benziger Family Winery is leading a new definition of wine quality through its Farming for Flavors™, organic and Biodynamic® winegrowing practices. Their 85-acre, certified Biodynamic Sonoma Mountain estate has become a research and teaching center for the cultivation of grapes with more flavor, intensity and site-specific vineyard character. The family shares its farming knowledge and experience with their longtime grower partners throughout Sonoma County. Bonterra Vineyards (CA) – Our holistic approach to winemaking took root in 1987 when we were experimenting with wine and food pairings. The fruits, vegetables and herbs we used came from our extensive organic garden. The purity, intensity and freshness of the flavors were amazing. From that point on, we committed ourselves to growing grapes organically. Grgich Hills Estate (CA) – Grgich Hills Estate is a family-owned winery dedicated to the art of winemaking. Our wines are made completely from grapes that are certified organic and Biodynamic®, grown at our estate vineyards in Napa Valley, California. Bucklin Old Hill Ranch (CA) – Our farming techniques are probably quite similar to Hill's. The vineyard is certified organic, so we don't use any chemical fertilizers, herbicides or pesticides. We don't irrigate the vineyard, because we believe that watering the vines dilutes the fruit intensity. Fortunately the vineyard was planted on Saint George root stock which has very deep roots capable of mining water very efficiently. This rootstock is also very long lived and resistant to most of the important pests. Coturri Winery & Vinyard (CA) – Coturri Winery never uses grapes that have been treated with pesticides, fungicides, or herbicides. The Coturri Winery Estate Vineyards are certified by the CCOF. No SO2-no inoculation with sulfites, yeast cultures, no use of concentrates to boost sweetness, no added water, acids, or other manipulation of the wine. Davis Bynum Vinyard and Winery (CA) – Davis Bynum is distinguished as the first winery to produce a single vineyard pinot noir from the Russian River Valley. The vintage was 1973 and the grapes were from Joe Rochioli's now prized vineyard. Today, more than thirty years later, the heritage of Davis Bynum lives on through the hand crafted creation of pinot noir and chardonnay grown exclusively in Russian River Valley. Davis Bynum use sustainable practices, which means we meet winegrowing needs of today without threatening the ability of future generations to meet their needs. The three guiding principles are environmental health, economic feasibility, and social equity. Napa Wine Company Vineyard and Winery (CA) – Napa Wine Company is a family owned winery with over 635 acres of vineyards in the Yountville and Oakville appellations. All are now 100% organically certified and have been responsibly farmed for over 100 consecutive harvests here in Oakville, the heart of the Napa Valley. 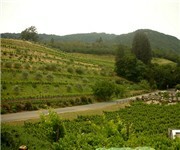 Napa Wine Company has 635 planted vineyard acres and the property is the tenth largest planted acreage in Napa County. Sky Saddle Wines (CA) – Sky Saddle Wines is committed to local sustainable agriculture, Sky Saddle is a small family winery in Sonoma County making fine wines exclusively from organically and/or biodynamically grown grapes. Sky Saddle Wines are limited edition, hand-crafted and award-winning wines made from certified organically grown grapes. We are a small, family owned business making just 1000 cases each year.